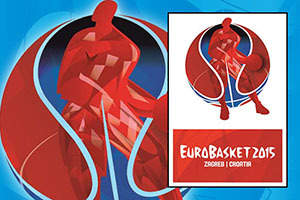 With the teams in the FIBA EuroBasket 2015 Groups B & C having a day off on Monday the 7th of September, there is an opportunity to look back on their efforts on Sunday and have a look at how the groups are shaping up after the first two rounds of fixtures. There was pain for the host team in Group B on the opening game of the day in Berlin as Germany slipped to a very late defeat. Nemanja Bjelica was the man of the moment and his point with nine tenths of a second left ensured that Serbia won by a score of 68-66. The arena was packed out early on with the host nation playing early but the majority of the 13,050 crowd would have been left disappointed with the defeat. This was a game that was firmly in the balance until the dying moments but a scoring run of 12-2 in the last 3 minutes of the game was enough to push Italy to victory over Iceland. The 74-61 win was the first Italian win of the tournament, leaving Iceland as the only team that has lost both of their opening games in Group B. Alessandro Gentile was the driving force for the Italians, picking up 21 points. Spain bounced back from their opening day defeat to comprehensively thrash Turkey in Group B. This was a game the Spanish dominated from start to finish and anyone who felt that the Spanish side weren’t going to be up for the 2015 EuroBasket will now be reappraising their thoughts on the tournament. Pau Gasol was only on the court for 23 minutes but that was more than enough time for him to grab 21 points and 7 rebounds. 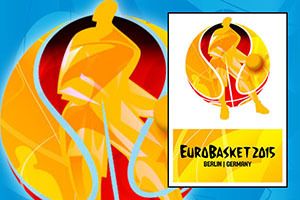 Have a look at our comprehensive FIBA EuroBasket 2015 Betting Guide. We encourage you to read this guide if you are new to – or want to know where to wager on this year’s European Basketball Championship. A strong showing in the second quarter made all the difference from the Macedonians with the Netherlands team unable to replicate their heroics from the opening game. Netherlands were never really out of the running but equally, they were never close enough to Macedonia to put them under severe pressure. Vlado Ilievski grabbed 14 points in the game for the winning side. Slovenia grabbed the initiative against Georgia early on and held on to it for the entire game. This defeat sees Georgia winless after two games and trailing in the bid for the knock-out round. Jaka Kloubucar picked up 20 points for the winners while Tornike Shengelia provided 21 points for the losing side. It will come as no surprise to any follower of European basketball that Vassilis Spanoulis was the main man for the Greek side in this game. He grabbed 16 points and 4 rebounds in the game, giving Greece the perfect start after just two games in the tournament. In Group C, Greece are the only side with 4 points from 2 games and it is likely that they will be making their way through to Lille and the knock-out round. All of the teams in Groups B and C will have a well-deserved day of rest on Monday the 7th of September but they’ll be back for three days of consecutive action from Tuesday the 8th of September.